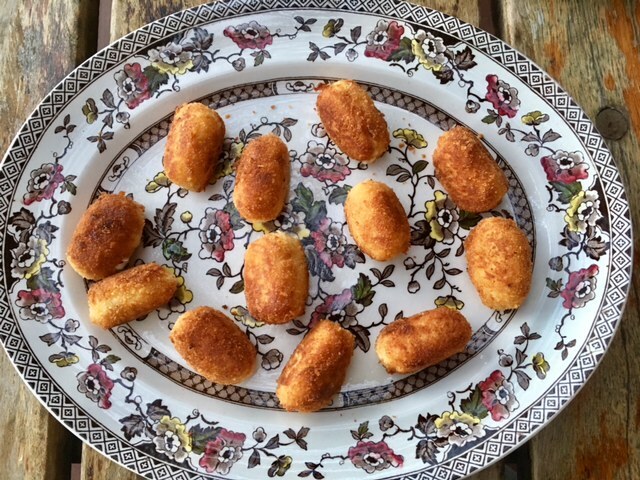 Croquetas are a staple of bar counters around Spain. Fantastic as a tummy liner on a night out, equally adored by children for their melt-in-the-mouth moreishness. 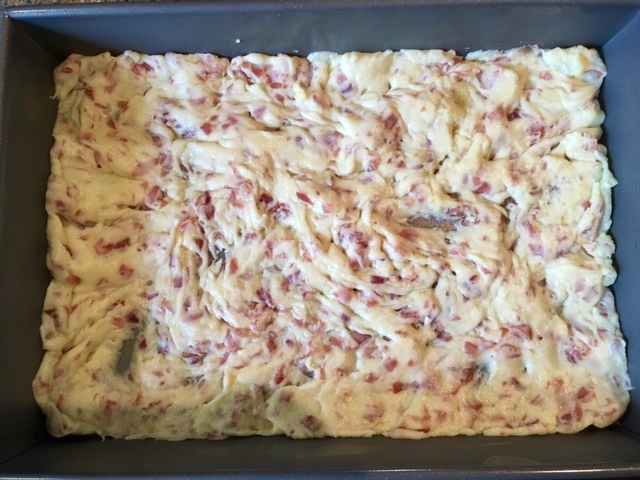 A basic béchamel sauce infused with ham, cheese, chicken, boiled egg or seafood… Then cooled, rolled into oblong blobs, coated in crumbs, and fried. Classic peasant food. The best kind. Oil a medium-sized dish and set aside. Note: The next step is not part of the traditional recipe but Albert Adria does croquetas this way, so why not? Put the milk in a saucepan and add two slices of ham. Slowly heat for the ham to impart flavour to the milk. Strain and discard the ham (trust me, it will be completely devoid of flavour). You now have jamón-infused milk for your béchamel… olé! Melt the butter and oil in a pan over medium heat. Add the flour and stir well. Add half the milk and whisk through. Add the rest of the milk and bring to a boil, whisking continuously. Turn the heat down and stir for 5 minutes until cooked through. Add the remaining ham, slivered, and stir through. If at any time during this process the pan is too warm, remove from the heat for a few seconds while stirring continuously. The béchamel should be quite sticky but if it gets too dense, add a dash of milk. Taste and season with salt. Place in the oiled dish, flatten and allow to set in the fridge for at least two hours to ensure your croquetas hold their shape in the frying pan. To mould, scoop a spoonful and roll into desired shape. Don’t over-handle them. Crack eggs into a bowl and spread the breadcrumbs on a plate. 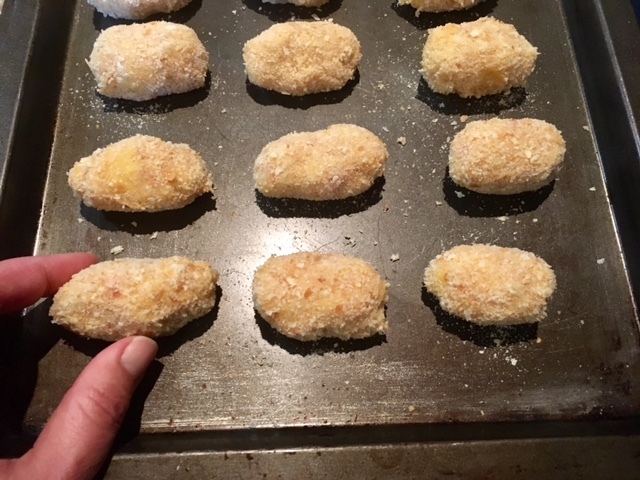 Roll each croqueta in crumbs, then in the egg mixture, and again in the crumbs. Place the tray with crumbed croquetas in the fridge for half an hour before frying. Or overnight, if you’re prepping for the next day. Heat 2cm oil in a pan to medium-high and fry on all sides until golden brown. Allow to cool slightly before serving. People gleefully burn their mouths on hot croquetas. None whatsoever. Just a happy meeting of butter, flour and ham-infused milk. 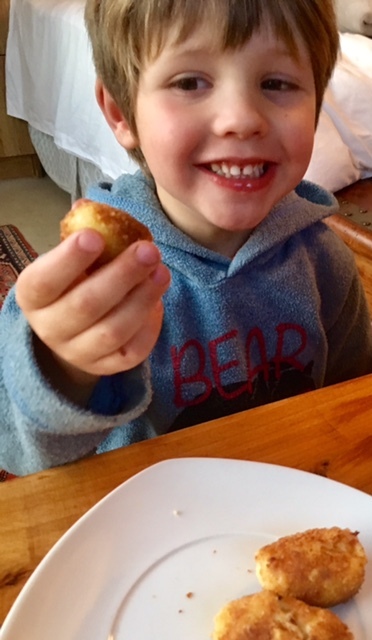 My son had not had a croqueta for a long time. The joy was very real. § 3 Responses to Classic croquetas de jamón"
Deep fried ham and sauce for the win! You are currently reading Classic croquetas de jamón at Kitchen Vixen.